I created this card for the new Sketchy Saturday at Paper Issues. There's a layout sketch and a card sketch. Create something based on the sketch(es) for a chance to win a $10 gift certificate to the Paper Issues store. The deadline to link up is June 5th. Good luck! 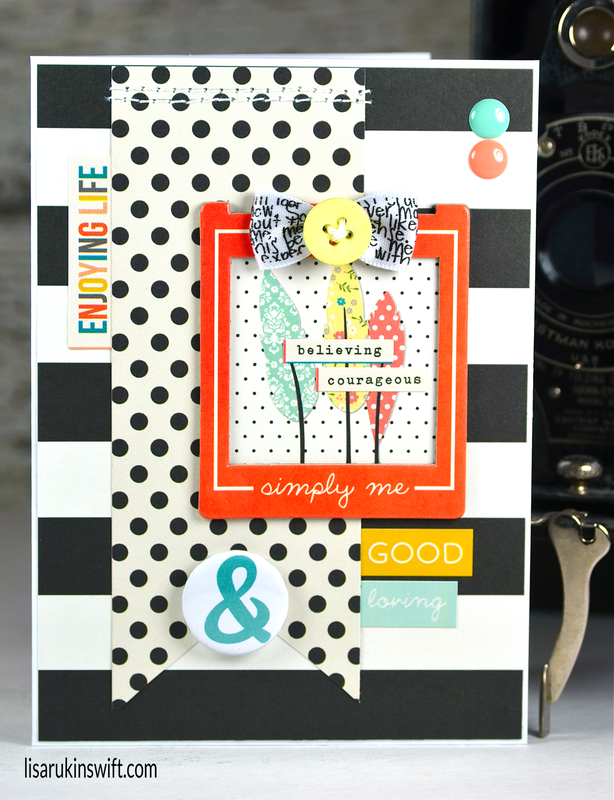 Beautiful card, Lisa, love the contrast between the colors and the black and white patterns! Gorgeous! LOVING the colors and the bow!!!! Love the colors and that adorable bow. Sweet, lovely card. Such a pretty card!! LOVE the feathers!! You really have me digging this collection! Beautiful card. Love the little bow under the ribbon. You are so good at those little touches.